Community Business Association, state partner of Americans for Tax Fairness, joins a coalition of Florida consumer and faith-based organizations to deliver a letter to Senator Bill Nelson Thursday voicing disappointment in the proposed budget deal, and advocating for further consideration of the Stop Tax Haven Abuse Act. Florida Consumer Action Network, American Federation of State, City and Municipal Employees, Florida AFL-CIO, Florida Council of Churches, and PICO are delivering similar messages throughout Florida. “Once again, this Congress has prioritized Wall Street at the expense of Main Street,” said Brook Hines, Director for Community Business Association. “This deal protects corporate abuse of offshore tax havens while penalizing federal employees’ wages and pensions. Worse, Wall Street hedge fund managers will continue to enjoy special tax breaks while we’re canceling unemployment insurance for the millions of Americans losing benefits a week after Christmas. As these actions hurt the pocketbooks of consumers this is a bad deal for small business and the consumer demand they depend on,” said Hines. Fifteen local businesses signed-on to the letter which urges Sen. Nelson to sign-on to the Stop Tax Haven Abuse Act (S. 1533). A similar bill in the House, called Sequester Delay and Stop Tax Haven Abuse Act (HR. 3666) has also been filed. Both bills would raise up to $220 billion over 10 years – enough to fully replace the automatic spending cuts scheduled for the next two-and-a-half years. According to a report released by the Economic Policy Institute and AFSCME, closing tax loopholes would create 12,915 jobs in Florida through 2016. With revenues relative to historical levels, these loopholes send the wrong message while presenting opportunities for tax evasion, and creating perverse incentives for overleveraging, offshoring of corporate profits. Taxing the 1%: Why the top tax rate could be over 80% | vox. Up until the 1970s, policymakers and public opinion probably considered – rightly or wrongly – that at the very top of the income ladder, pay increases reflected mostly greed or other socially wasteful activities rather than productive work effort. This is why they were able to set marginal tax rates as high as 80% in the US and the UK. The Reagan/Thatcher revolution has succeeded in making such top tax rate levels unthinkable since then. But after decades of increasing income concentration that has brought about mediocre growth since the 1970s and a Great Recession triggered by financial sector excesses, a rethinking of the Reagan and Thatcher revolutions is perhaps underway. The United Kingdom has increased its top income tax rate from 40% to 50% in 2010 in part to curb top pay excesses. In the United States, the Occupy Wall Street movement and its famous “We are the 99%” slogan also reflects the view that the top 1% may have gained at the expense of the 99%. In the end, the future of top tax rates depends on the public’s beliefs of whether top pay fairly reflects productivity or whether top pay, rather unfairly, arises from rent-seeking. With higher income concentration, top earners have more economic resources to influence social beliefs (through think tanks and media) and policies (through lobbying), thereby creating some reverse causality between income inequality, perceptions, and policies. We hope economists can shed light on these beliefs with compelling theoretical and empirical analysis. Note: The Figure depicts the change in top 1% pre-tax income shares against the change in top marginal income tax rates from 1975-9 to 2004-8 for 18 OECD countries (top tax rates include both central and local individual income tax rates, exact years vary slightly by countries depending on data availability in the World Top Income Database). Source: Pikettyet al (2011), Figure 4A. Note: The Figure depicts the average real GDP-per-capita annual growth rate from 1975-9 to 2004-8 against the change in top marginal tax rates from 1975-9 to 2004-(exact years are the same as Figure 1 and vary slightly by countries). The correlation is virtually zero and insignificant suggesting that cuts in top tax rates do not lead to higher economic growth.Source: Piketty et al (2011), Figure 4B. Piketty, Thomas, Emmanuel Saez, and Stefanie Stantcheva (2011), “Optimal Taxation of Top Labor Incomes: A Tale of Three Elasticities“, CEPR Discussion Paper 8675, December. Thursday, 14 November 2013Will Senator Rand Paul, misunderstanding the voices of the un-dead, block the appointment of Janet Yellen to head the Federal Reserve Board? But despite the Fed’s smoking-hot printing press, the price of tuna is perilously close tofalling. Price inflation today stands at a teeny-weeny 1.2%. The colonies faced a crisis. Bricks of gold don’t have babies; and so, when an economy grows rapidly as did early America, there simply is not enough money to represent that new trade and wealth because the currency is limited by a fixed and arbitrary amount of metal.Here’s why. 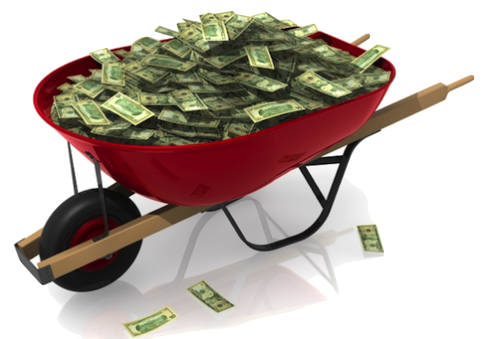 When the money stock stays flat as production and workforce grows, each dollar buys more of that production. Sounds good? No way. A monstrous fall in prices and wages means workers and businesses get less for their output and can’t pay off old loans. To simplify: When a farmer borrows $100 for land and seed, then sells his corn for $50, the farmer goes bust. 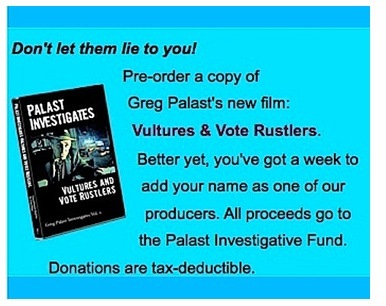 Greg Palast is also the author of the New York Times bestsellers The Best Democracy Money Can Buy, Armed Madhouse and the highly acclaimed Vultures’ Picnic.HELP US FOLLOW THE MONEY. Visit the Palast Investigative Fund’s store or simply make tax-deductible contribution to keep our work alive! It’s about JPMorgan Chase’s $13 Bilion banking settlement that the mainstream media is totally (and preposterously) misrepresenting.